Mr. Goindoo served as the Chief Financial Officer for the Group’s Latin American and Caribbean Operation from 2006 to 2010 and was also responsible for developing the regional compliance function at that time. He has spent the last year as the General Manager of the Caribbean operations leading a strong and highly competent team. 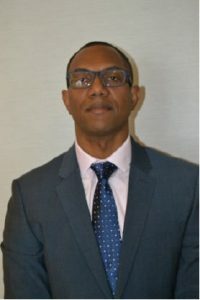 In his new role, he will continue to lead the group’s operations throughout the Caribbean region spanning, Antigua & Barbuda, Bahamas, Barbados, Belize, Bermuda, Cayman Islands, Curacao, Dominica, Guyana, Grenada, Jamaica, Montserrat, St. Kitts & Nevis, St. Lucia, St. Vincent & The Grenadines and Trinidad and Tobago via regional offices in Trinidad and Jamaica. The CUNA Mutual Group congratulates Mr. Goindoo on his new appointment.